California and Nevada summer tour! At some point in their lives, every Black person in America has a choice to make. Consciously or subconsciously, every African American has to decide whether or not integrating is best for Black people moving forward. During America's Trump era, this decision has become more critical. "Black Bane, The Underestimated Villain", is about that choice. 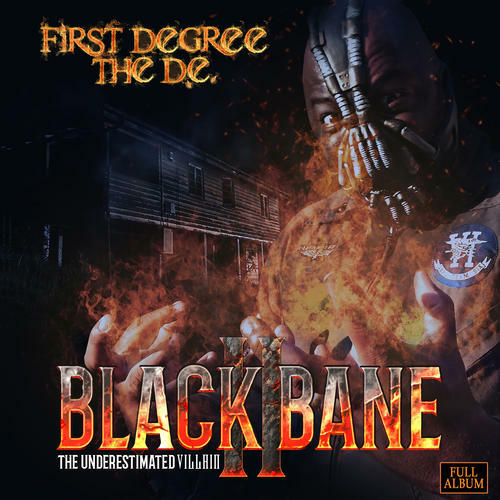 Produced by Oji and Phonk Beta, Black Bane 2 is First Degree The D.E. 's most controversial and musical album! Be sure to check out the video singles, "Time's Begun", "Story Of A Lonely D.J. ", and upcoming videos "They Discard You" and "Brotha Lynch First Degree Beef". 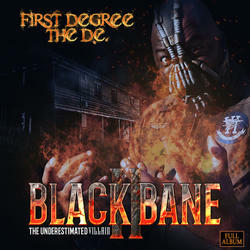 Also be sure to check out the Black Bane film, FUNNY!" Never take your eyes off The Fahrenheit Shlangz! Story Of A Lonely D.J.